Our search for a singer has not yet borne fruit. Could it be you? Just listen to some of our videos and see if you would fit! 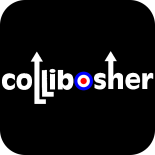 If interested, contact us at info@collibosher.com or my message to our Facebook page. In the meantime, we have borrowed Mark back from the Estimators, for a gig at the Sun Inn, 21 Sun Street, Waltham Abbey, EN9 1ER, on 19th August starting at 9pm, a great opportunity for our friends to come and see us while we continue our search for a new singer. This entry was posted on 18 July 2017 by davespagnol.